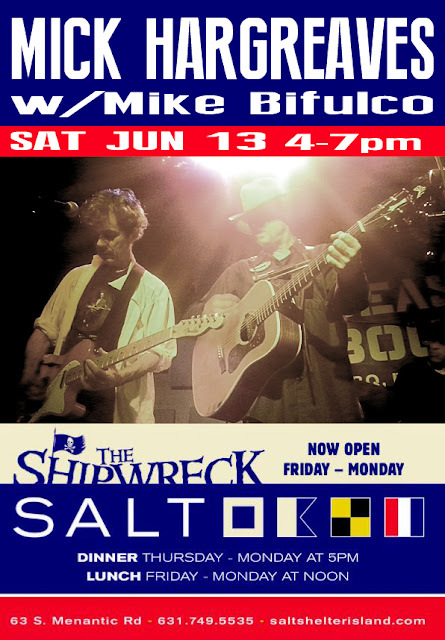 Back at SALT (Shelter Island) this Saturday JUNE 13 4-7pm, performing on acoustic guitar and doing that singing thing I do, along with Mike Bifulco doing incredible things on electric stringed instruments. We'll be outdoors in the Shipwreck Bar, 4-7pm. Right on the water. An oasis from the madness, we promise. FREE.